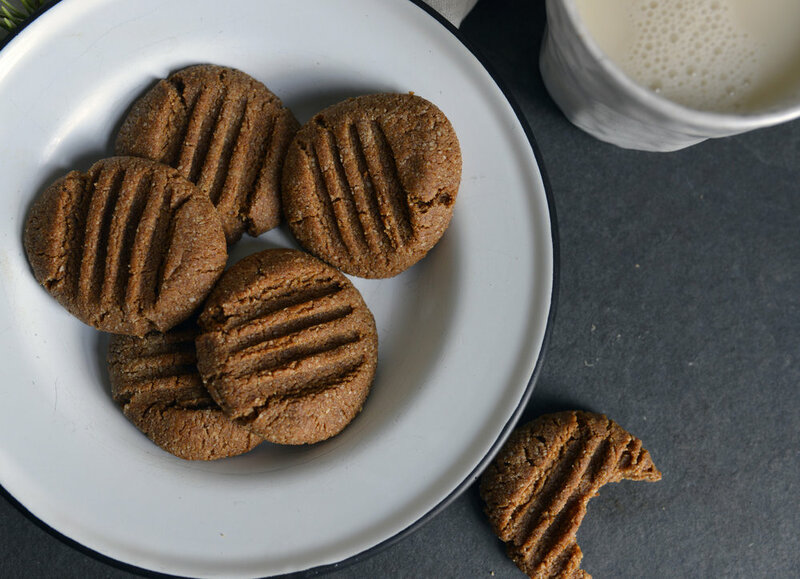 I recently decided that it couldn’t possibly be that hard to reinvent a grain-free gingersnap cookie without refined sugar. However, the first batch I made was literally inedible. My son who will eat almost anything took a bite and promptly spat it right back out. Apparently blackstrap molasses is a powerful flavor and you can’t just wing it. But there was a shimmer of hope in that failed attempt and something motivated me to forge on. I’m so glad I did because these cookies... oh, these cookies are fantastic!! They took 4 batches to perfect, but the final result is moist and delightfully chewy with a wonderful balance of warming spices. They're what paleo cookie dreams are made of. 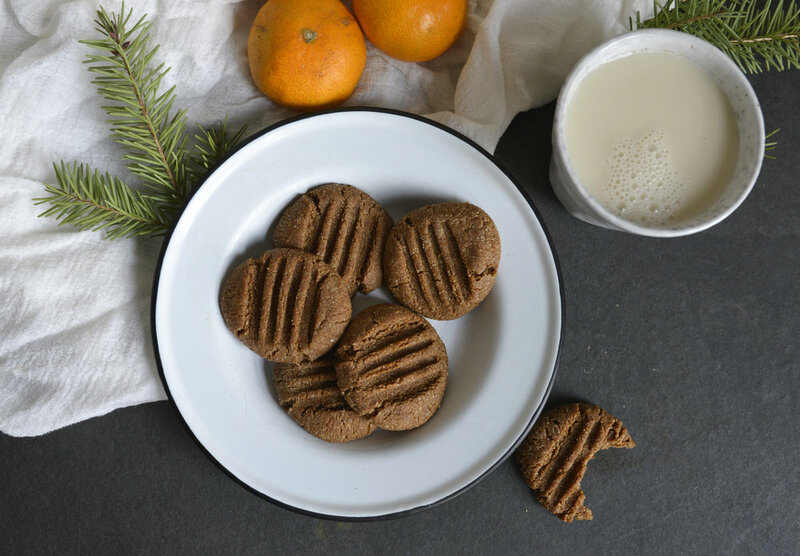 As far as treats go, these sweetly spiced cookies are actually quite beneficial for breastfeeding mothers. Both blackstrap molasses and almond flour are lactogenic and rich in calcium. These cookies also contain coconut, which is the second highest source of lauric acid, next to breast milk. Lauric acid is an immune supporting fatty acid that offers potent antiviral and antibacterial properties. I’m pretty sure that I rave about this in almost every recipe of mine that contains coconut (which is a lot of them), but I absolutely love research that supports the direct effect that diet has on the quality of breast milk. Eating just a single serving of coconut can substantially increase the amount lauric acid in a mother’s breast milk for up to 3 days. 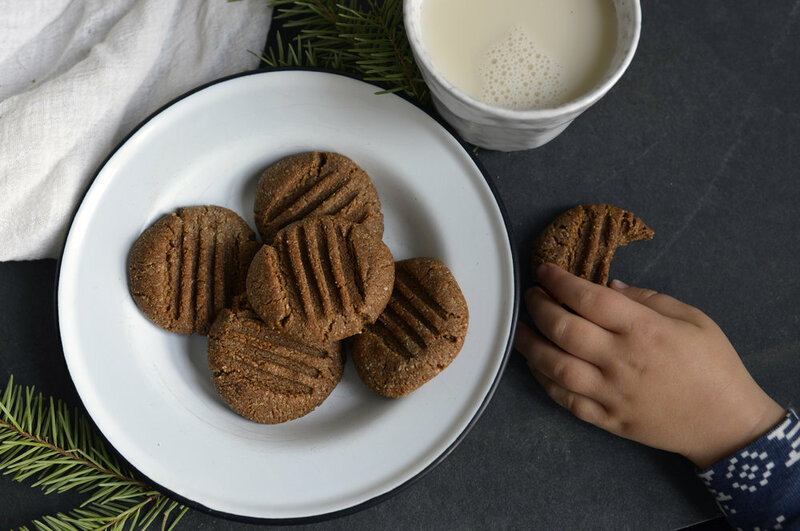 These gingersnaps offer a few unique benefits for kids that other cookies don’t. They have a more complex flavor profile featuring ginger and molasses, which are both fantastic for helping to diversify a young palate. Plus the use of almond flour in place of refined grain flour offers healthy fats to prevent the sugar crash that accompanies conventional cookies. Combine almond flour, allspice, ginger, cinnamon, salt, and baking soda in a bowl. Liquify the coconut oil in a saucepan then remove from heat and mix in honey and molasses. Pour the wet ingredients into the dry ingredients and mix well until no dry flour remains. Roll the dough into balls the size of a large avocado pit and spread them out on a baking sheet lined with parchment paper. If the mixture is too crumbly when you try to form it into balls, place it in the fridge to firm up for about 20 minutes. Bake at 350°F for 5 minutes then remove and use a fork to make an imprint in each cookie. Return to the oven to bake for another 3-5 minutes. 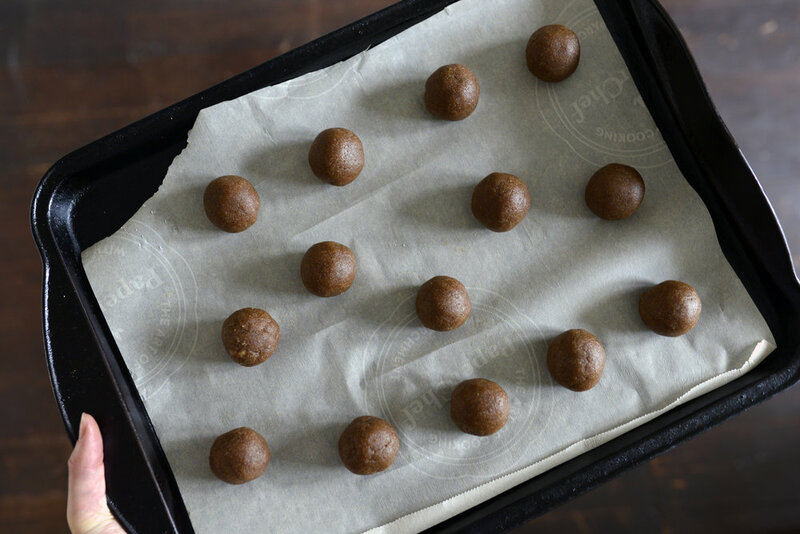 Cookies will not hold their shape until they’ve cooled, so let them cool completely on the baking sheet before transferring or eating. This recipe can also double as a wonderful gingerbread cookie. Simply cover each ball of dough with another piece of parchment paper and roll them out ¼ inch thick. Use cookie cutters to make trees, stars, or gingerbread people. Again, cookies will not hold their shape until they’ve cooled, so let them cool completely on the baking sheet before transferring or decorating. Lovingly made by my excited 3 yr old.